Hello I found a 540 needle roller at another website i was wondering if you would advise me on that one? I can provide a link for it if its allowed. 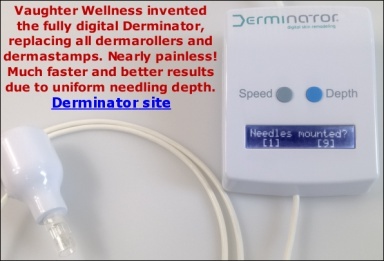 Im not sure what to look for except that the needles are stainless steel or titanium and that it comes sanitized. And also is it better to use a roller with that many needles? also i forgot to add that other site doesnt mention if it come pre sanitized or if the needles are surgical steel so Im assuming its not. oh my God that's scary I'm so glad I asked you. THANK YOU SOOO MUCH I certainly don't need to add on anymore damage to my skin, I will be buying the 1.5 roller that you sell here.